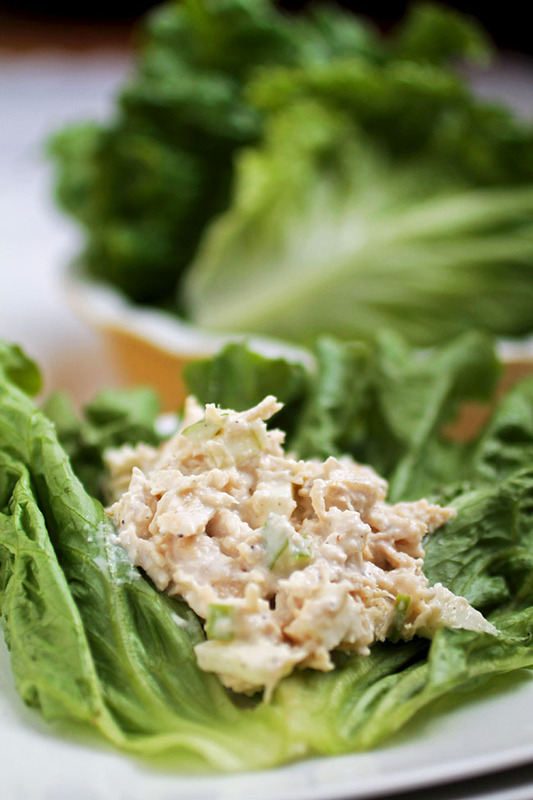 This healthy chicken salad recipe uses Greek Yogurt and simple lettuce wraps to lighten up a classic chicken salad. 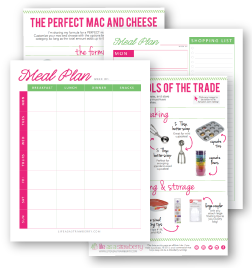 The perfect healthy chicken recipe for busy weeknights and lunches on-the-go. YOU GUYS. I made you some lettuce wraps. That I stuffed with chicken salad. Really, really GOOD chicken salad. PS: forget what I said about the lettuce. I’m ready to just eat the rest of this chicken salad with a spoon. Hold the vegetables, please. Unless you have more self control than I do and have the patience to wrap the wraps up. Which I guess is fine, too (They ARE pretty delicious). You might know that I was a vegetarian through most of college (turned out I couldn’t live without seafood…shocker). But even though I’ve been back to eating meat for a few years now, a lot of my vegetarian habits (like packing everything full of protein by using things like hummus or greek yogurt!) have stuck with me. I still rarely eat meat, and when I do it’s mostly poultry or the occasional burger. And then seafood. Because of course. But then there are days when I almost feel like I’m cheating on vegetables. Like today, when I was wrapping up my chicken salad in cute little lettuce wraps but then suddenly was all SCREW IT, SOMEBODY GET ME A SPOON. Every once in a while, I just want a giant steak. Or a huge cheeseburger. Or heaping spoonfuls of chicken salad right out of the tupperware. And nothing else. No vegetables. I’m pretty sure it’s residual from my vegetarian days, when I would crave all the things vegetarians can’t eat and have to trick myself into being happy with hummus. Because this never used to happen before I went vegetarian. But now, on days like today, I have phases where I AM GOING TO EAT ALL OF THIS CHICKEN SALAD JUST BECAUSE I CAN. And no roommate is going to walk in on me and be like “WHAT THE WHAT! YOU ARE CHEATING ON YOUR OWN LIFE CHOICES!” Ahhhh, bliss. Speaking of not being a vegetarian, I’m in LOVE with these chicken salad wraps (I know, you totally didn’t see that coming). Even when they are in fact WRAPS. And not just…spoonfuls. Heaped on top of extra apple slices. Shoveled into my face while I stand over the sink NOT doing dishes. 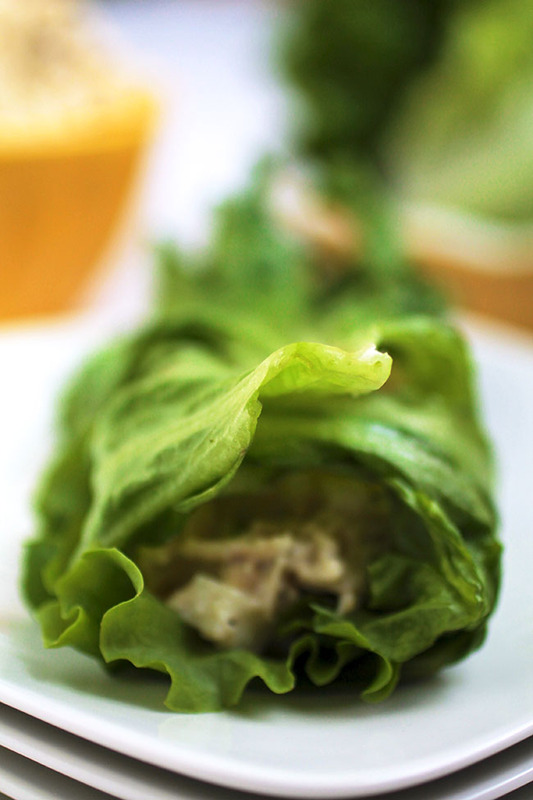 I guess what I’m saying is: I think you’ll really enjoy these chicken salad wraps. The End. Combine chicken, diced apple, lemon juice, honey, greek yogurt, salt and pepper in a large bowl and mix to combine. 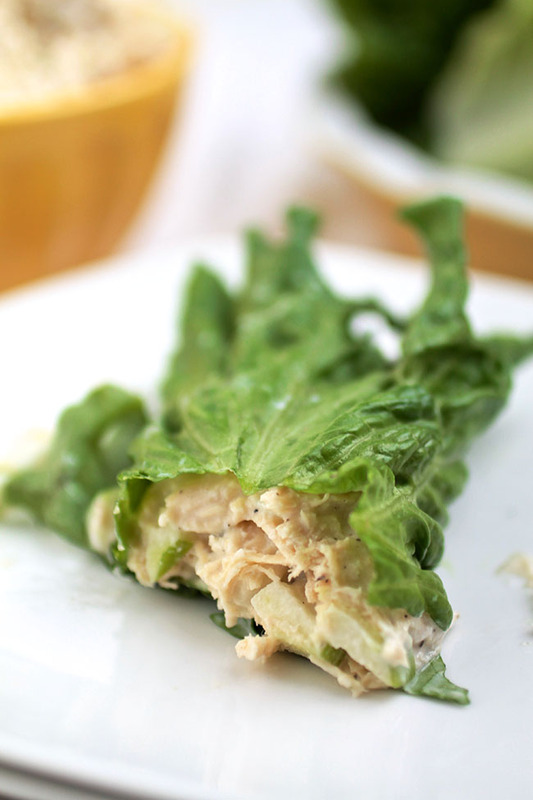 Spoon a heap of chicken salad onto the center of each lettuce leaf. 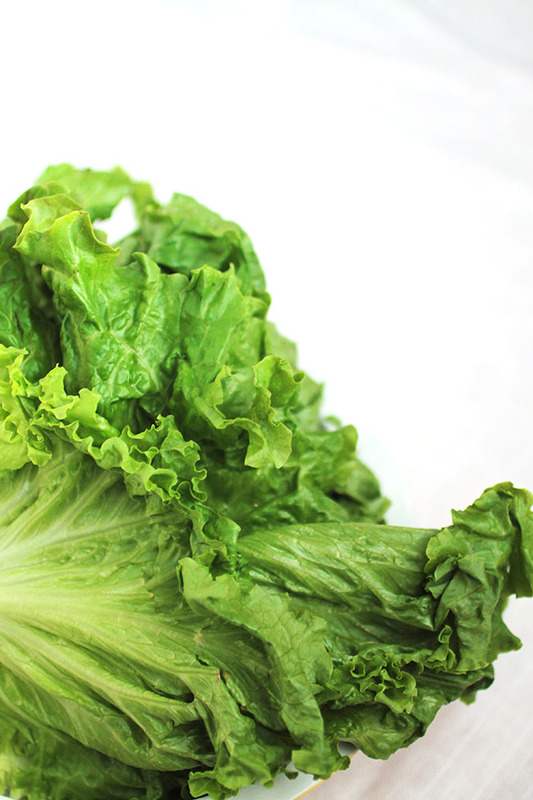 Wrap lettuce up around the salad (warning: this is not a food you eat gracefully) and serve immediately. This would also be great as a sandwich on some pumpernickel bread. How did you cook your chicken? Does it matter if you boil, steam, maybe bake it? This looks really really yummy and perfectly light for the summer. However you like to cook it is fine! I like to put a few chicken breasts and thigh cutlets in the crock pot for 6-8 hours on low with a drizzle of olive oil, salt, and pepper, then shred it all up and keep it in the fridge so it’s on hand whenever I need it! 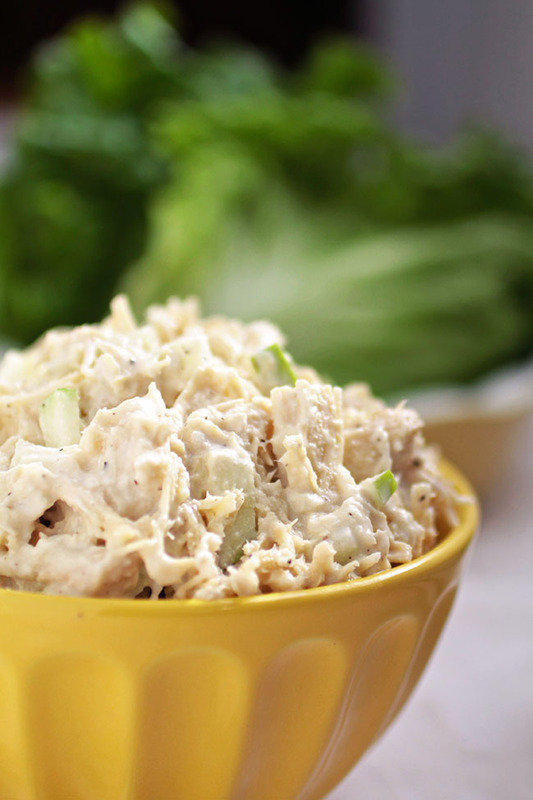 I love a good chicken salad recipe! And most times I don’t bother with bread or lettuce either!